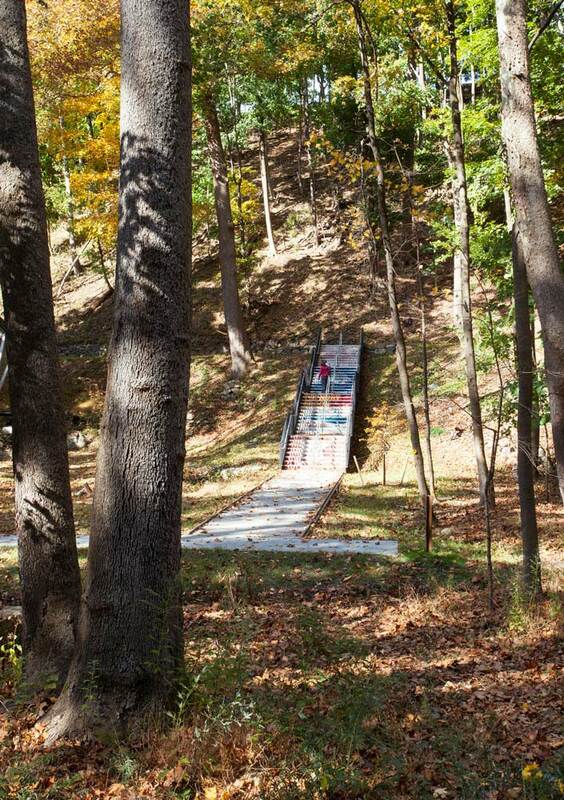 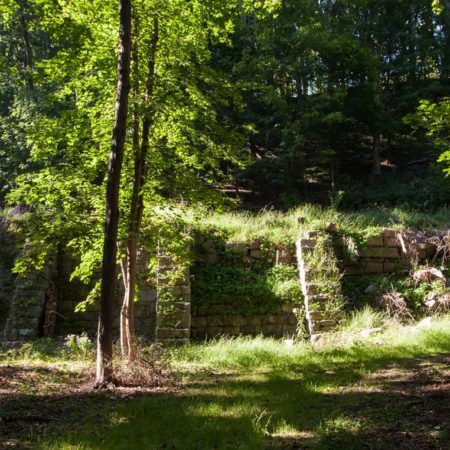 A hidden landscape treasure now has a voice. 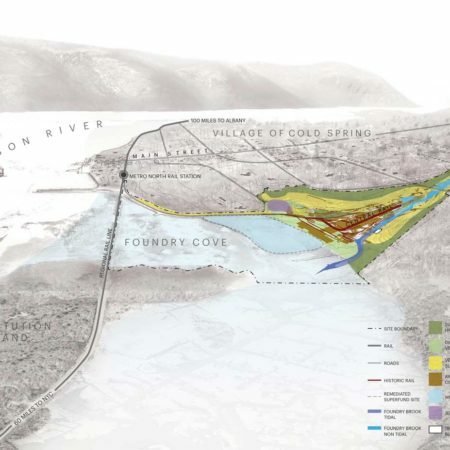 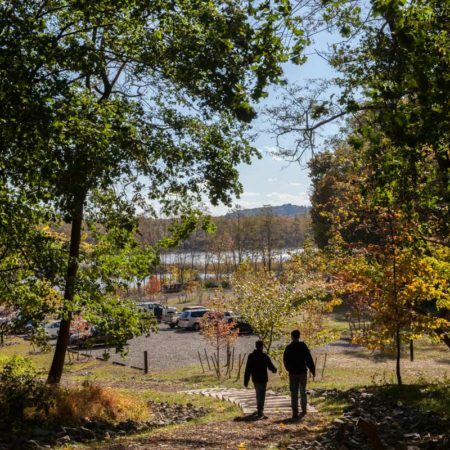 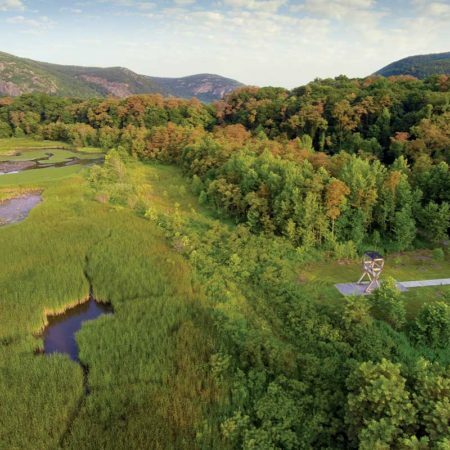 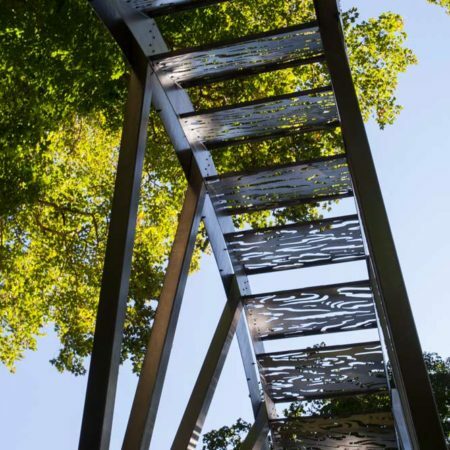 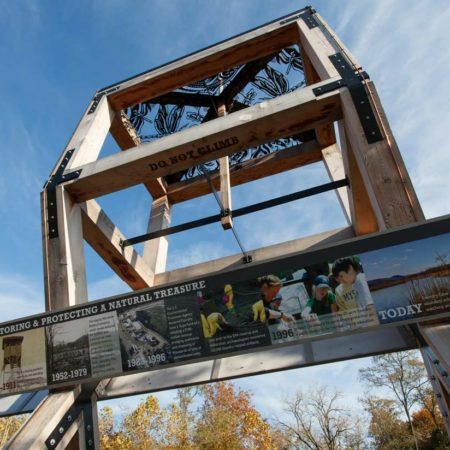 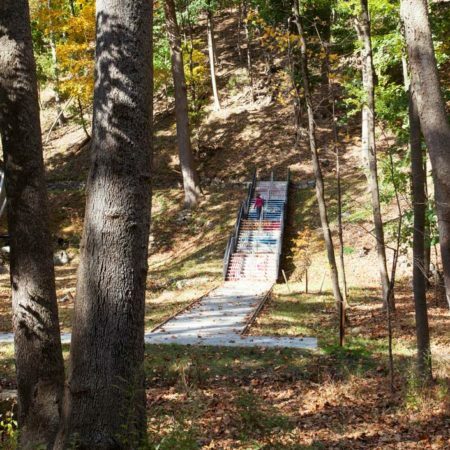 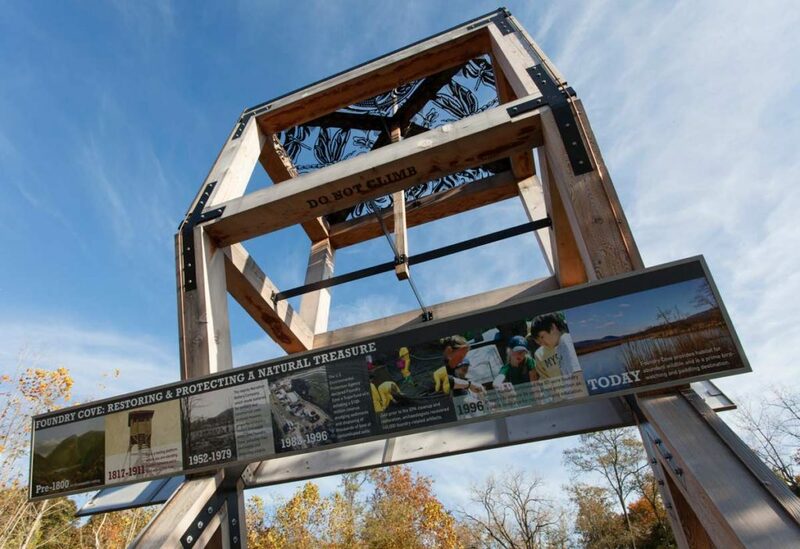 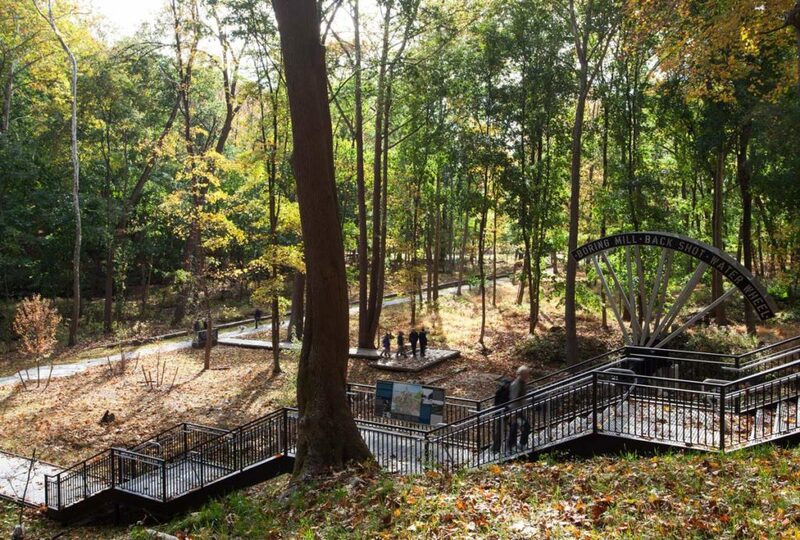 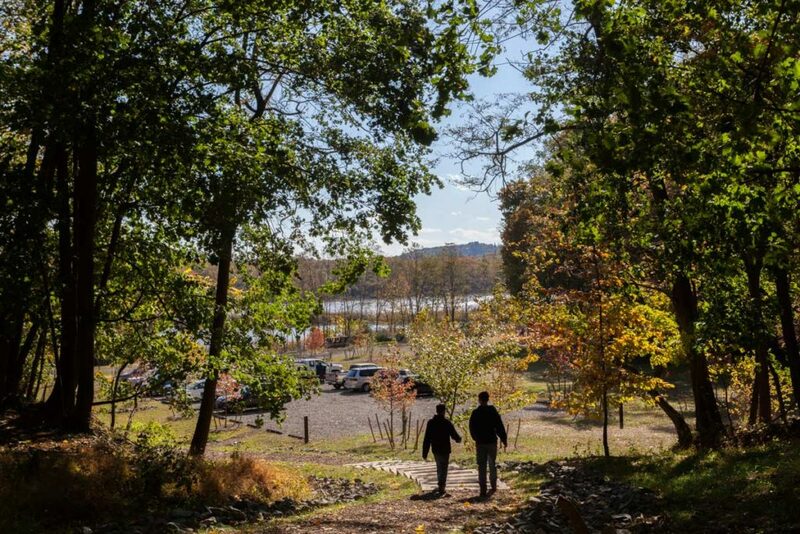 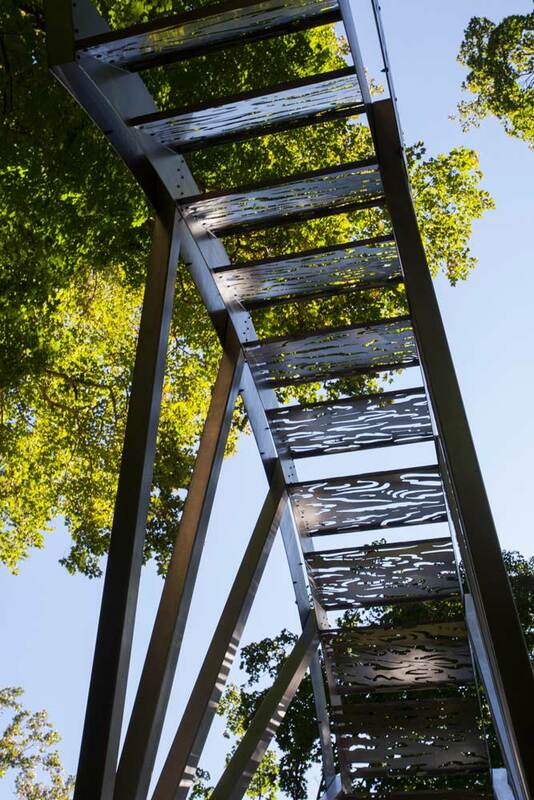 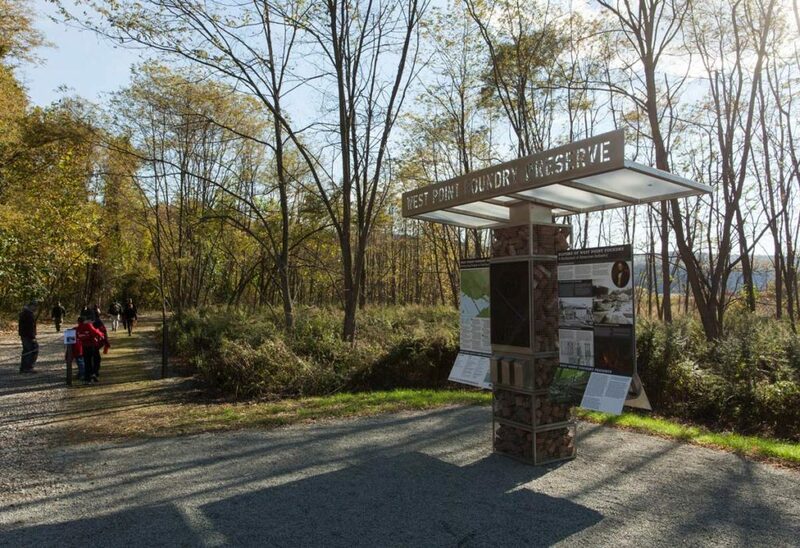 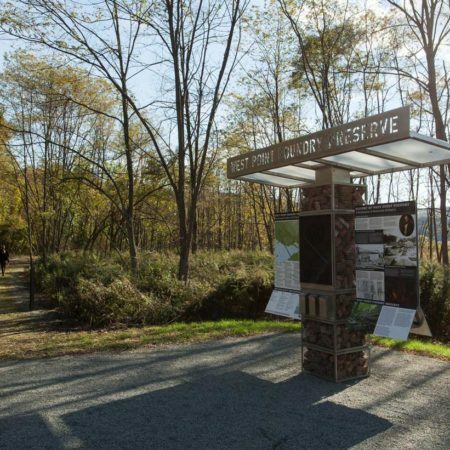 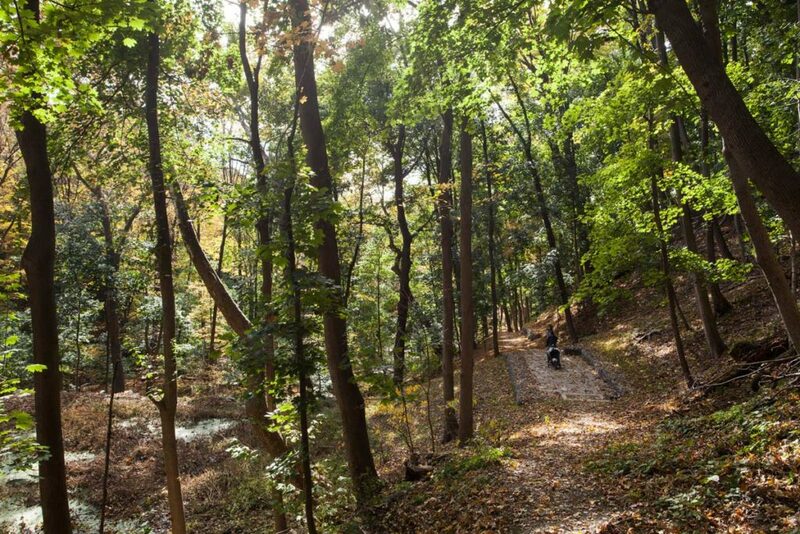 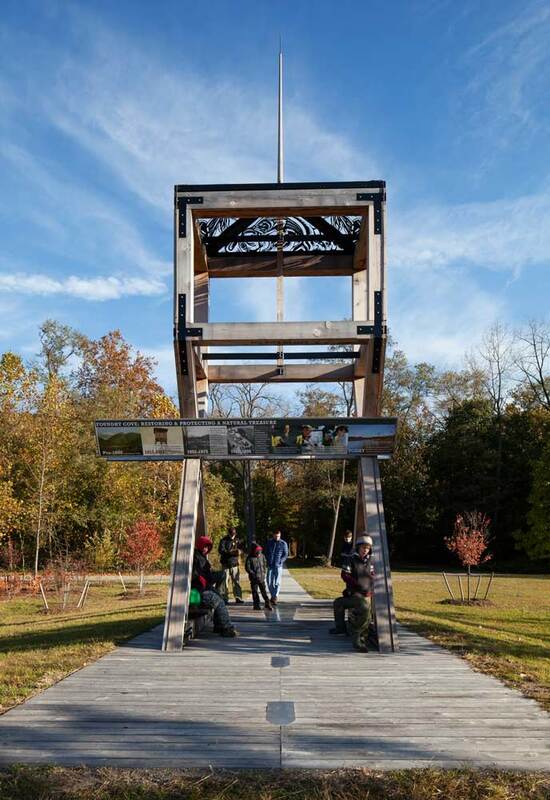 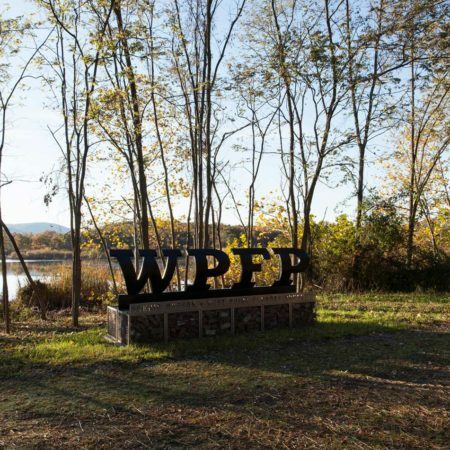 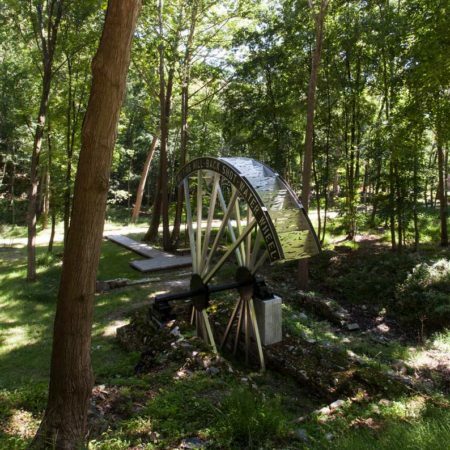 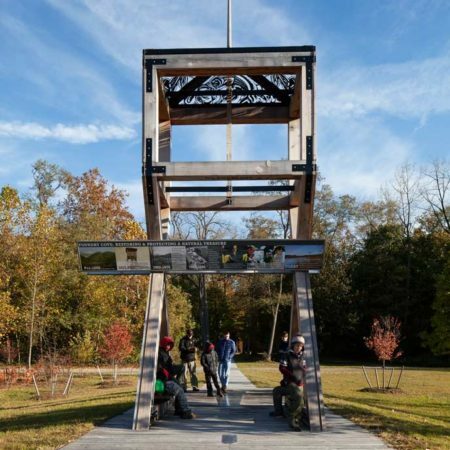 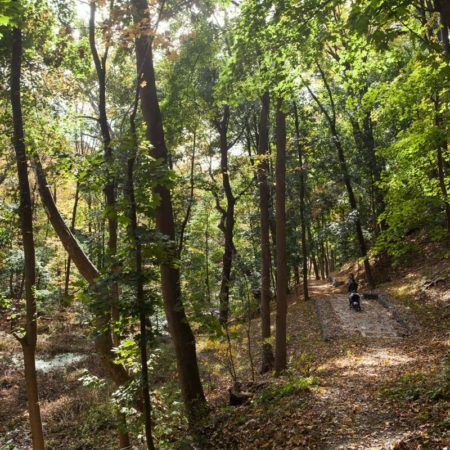 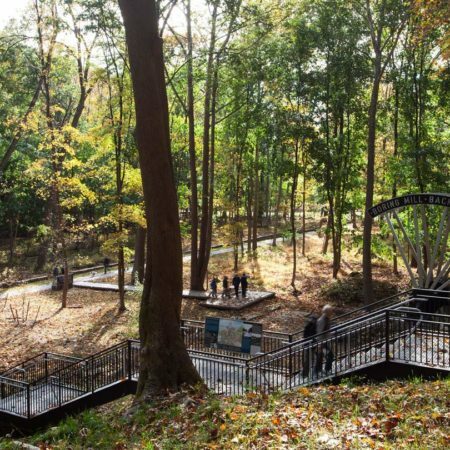 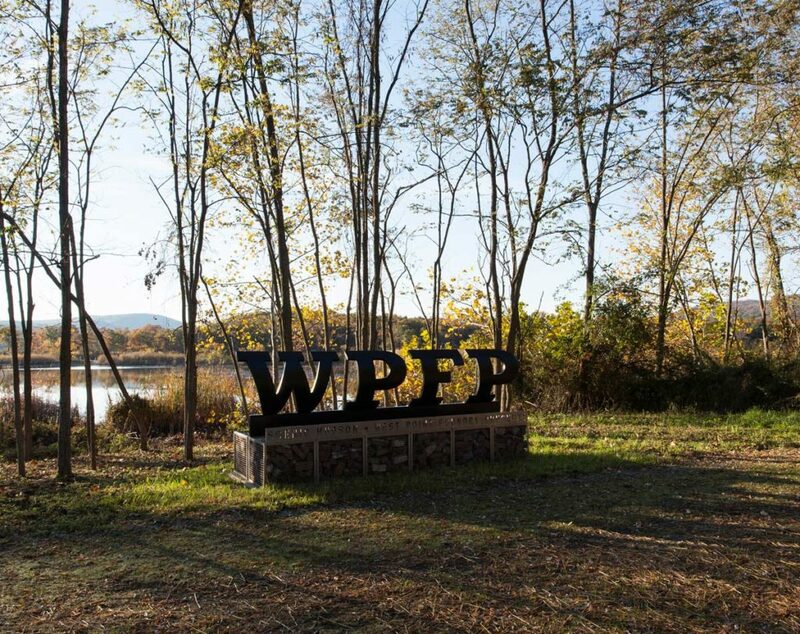 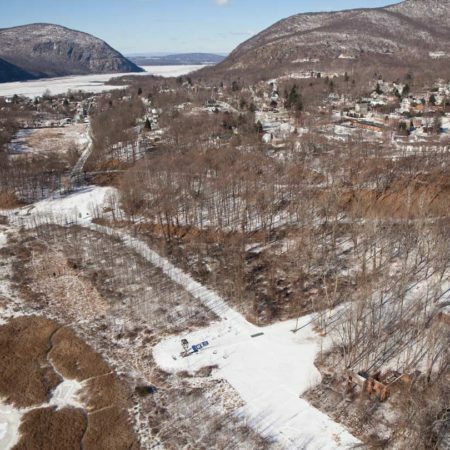 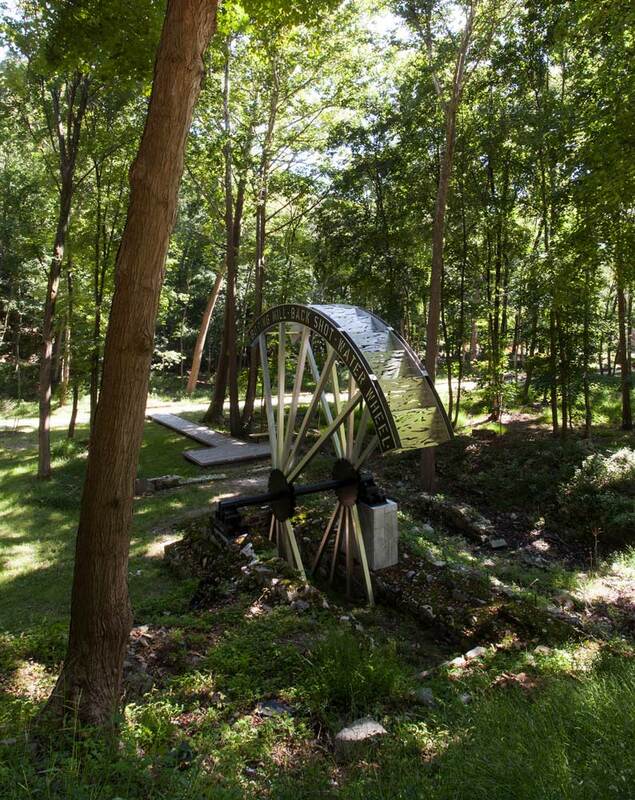 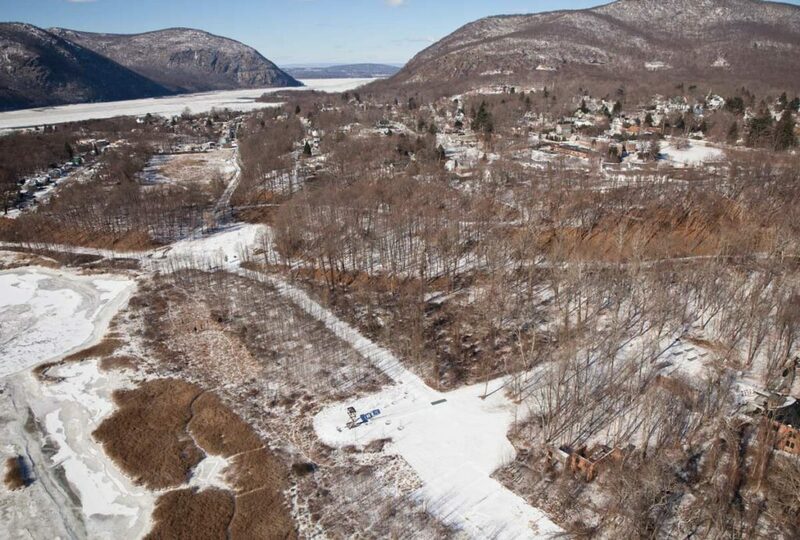 Nestled on the edge of the Hudson River at one of its most topographically dramatic junctures, the sensitive design for the 87-acre West Point Foundry Preserve [WPFP] reveals the sights and sounds of a former Civil War artillery foundry and ironworks. 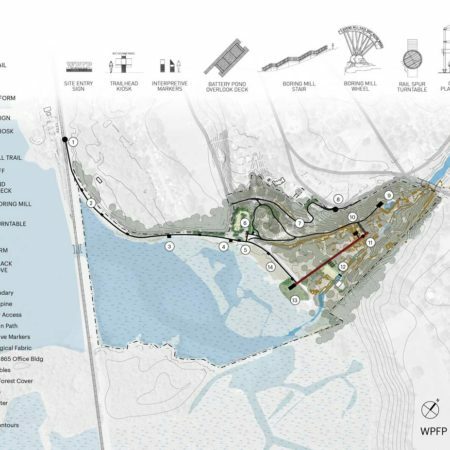 Located on a tidal marsh in southern New York, the site today is a patchwork of emerging ecologies, each informing the landscape architect’s ‘light touch’ at this National Register listed property. 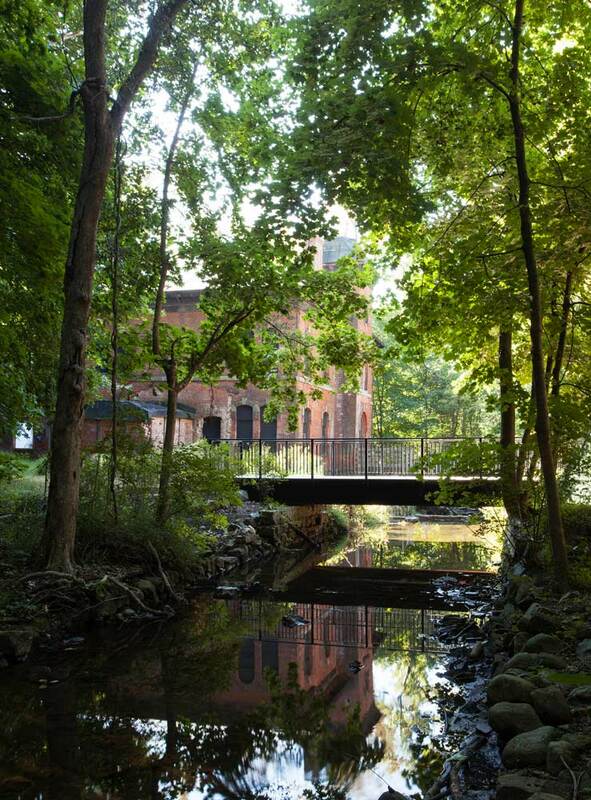 From pond to brook and marsh to river, the design tells the story of the power of water at one of America’s most important industrial archaeology sites. 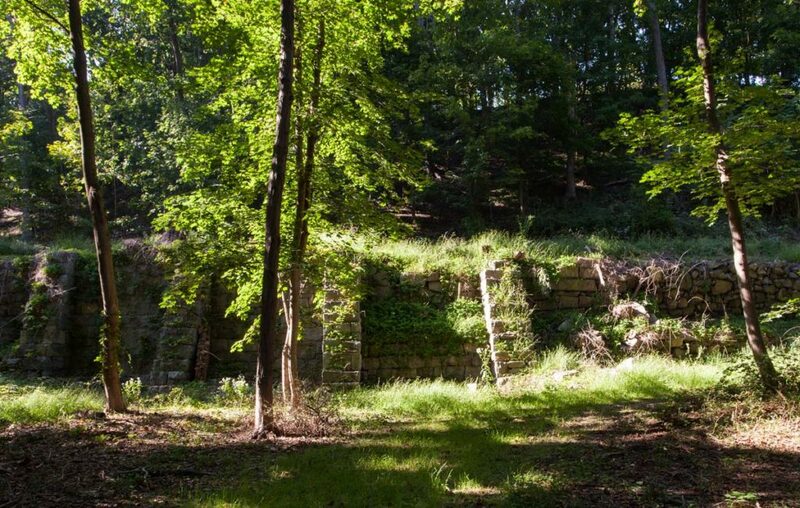 Wet habitats for the Tiger Spiketail dragonfly were protected during construction, walls and slopes were stabilized, and the team’s interpretive elements successfully reveal the scale and significance of the lost operations that stirred Jules Verne in his writing and inspired President Lincoln to visit in 1862. 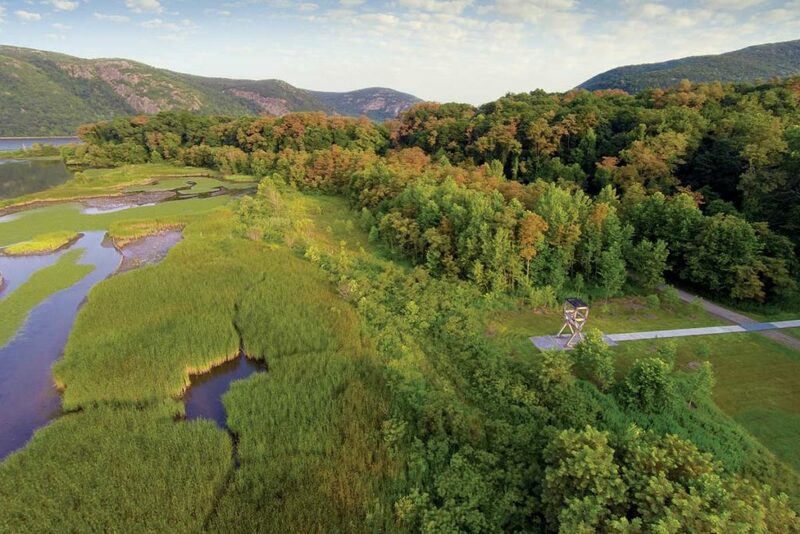 This enduring landscape can now be heard by all. 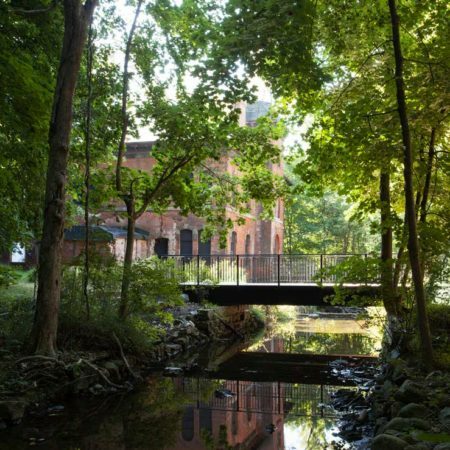 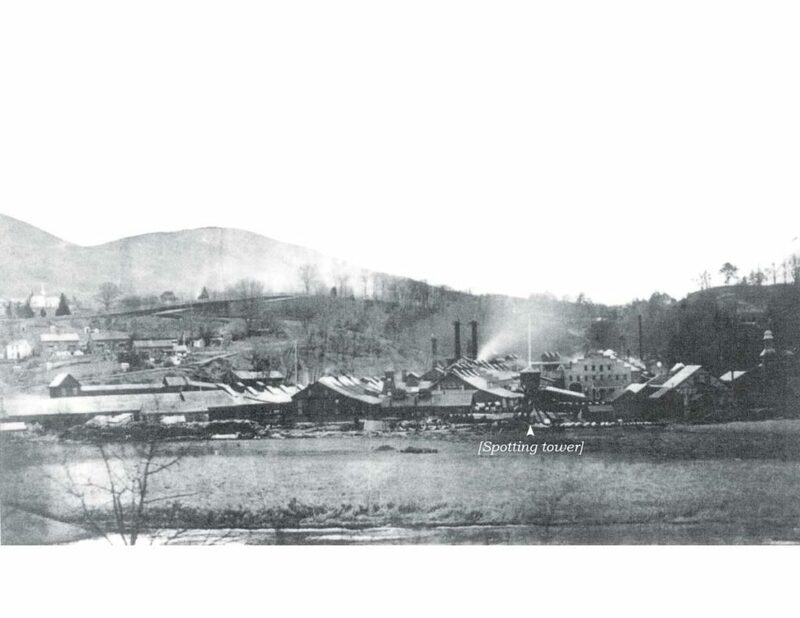 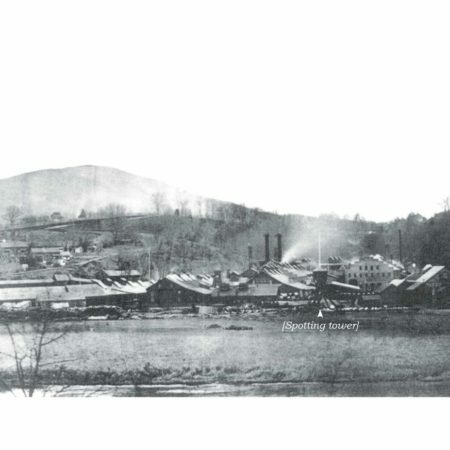 Uncovering industrial history while negotiating public access across sensitive land creates a national precedent and a local legacy. 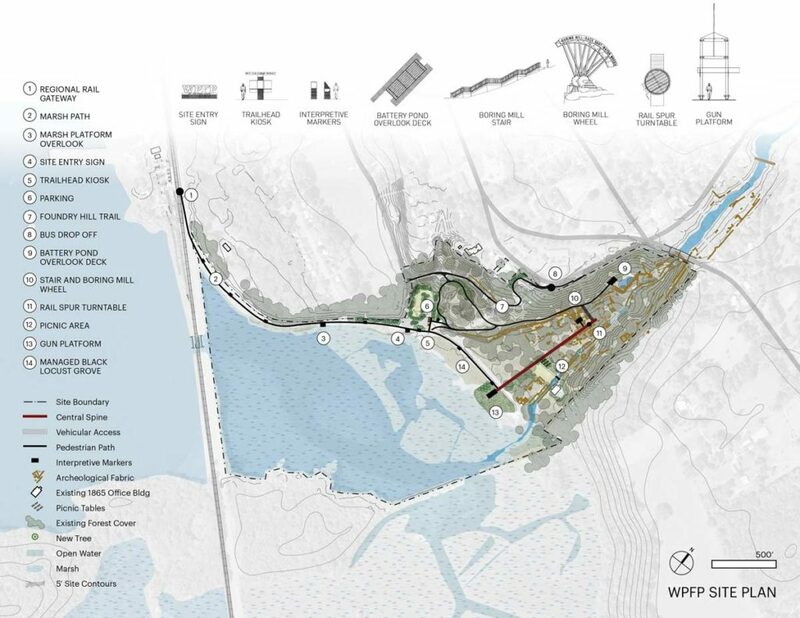 Accepting that ecologic succession will continue to alter plant communities, that water will rise and shift course, and that archeological fabric may continue to be unearthed was vital to the design vision. 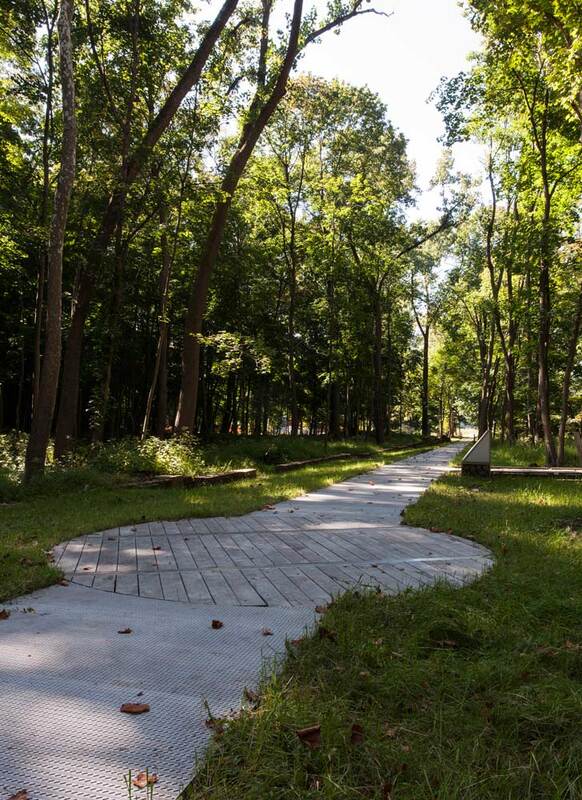 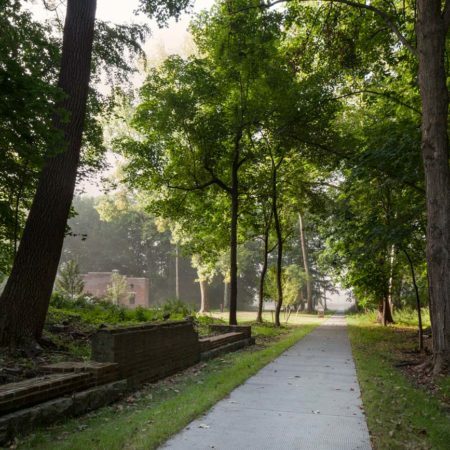 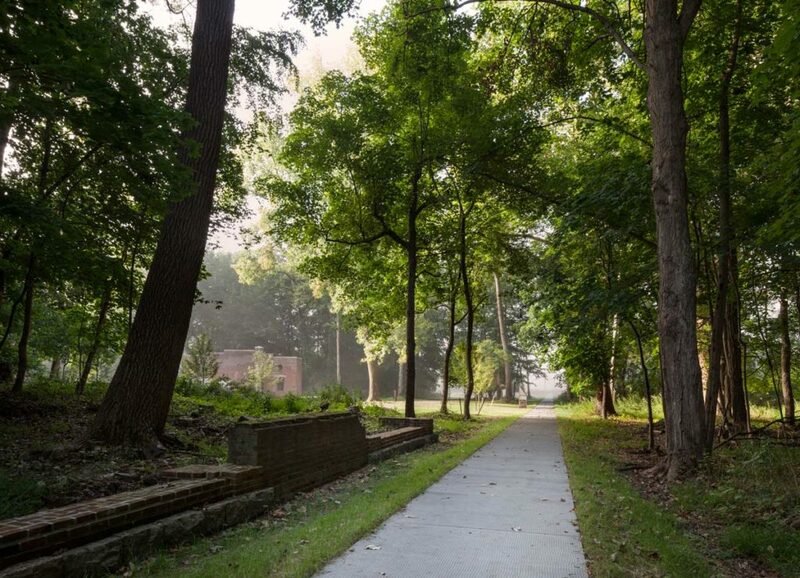 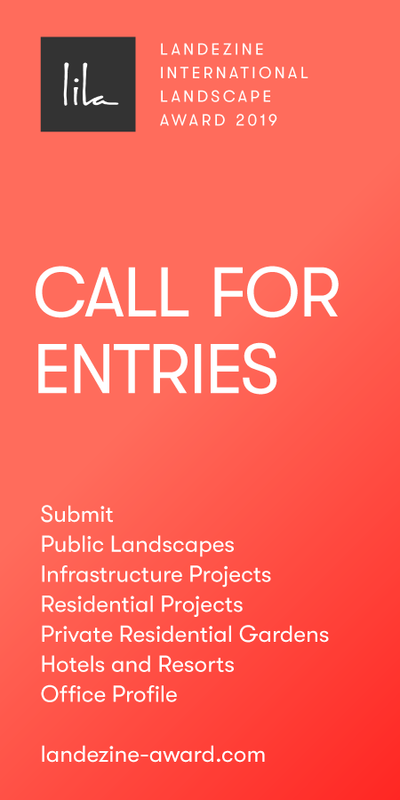 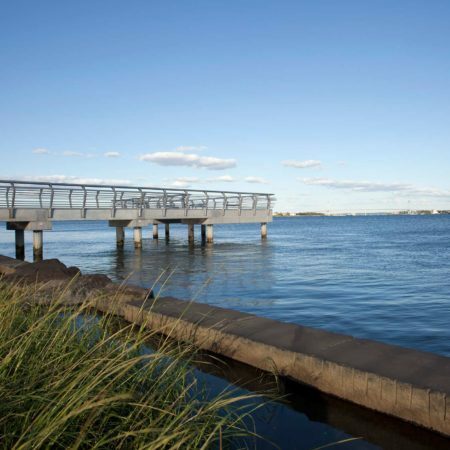 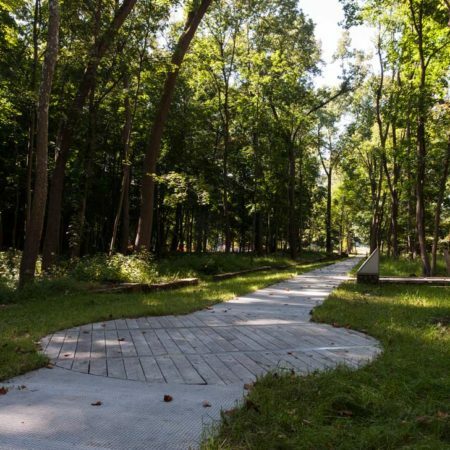 Using a restrained and discerning hand, the landscape architect leaves room for an open-ended sensory experience and invites a personal reading of the site’s dynamic habitats and its role in America’s Industrial Revolution. 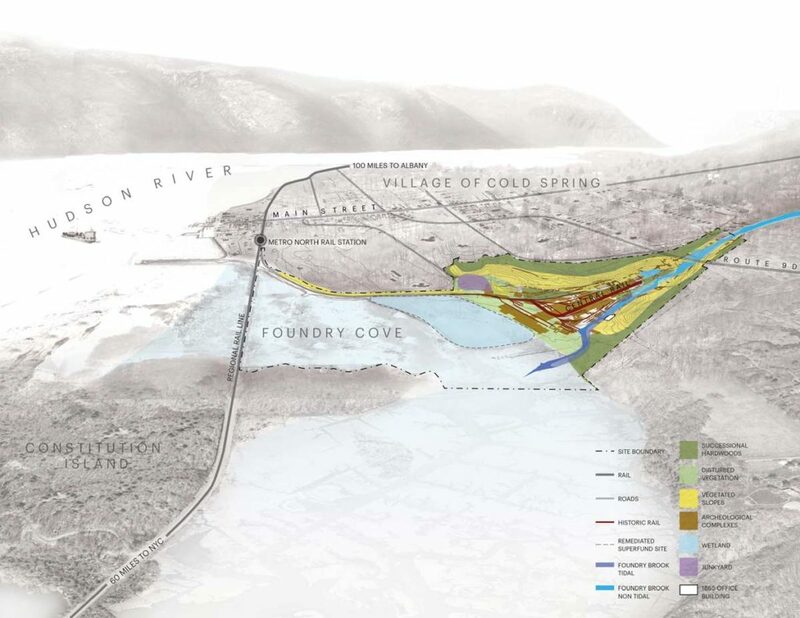 Archaeological Monitoring Report: Hartgen Archeological Associates, Inc.